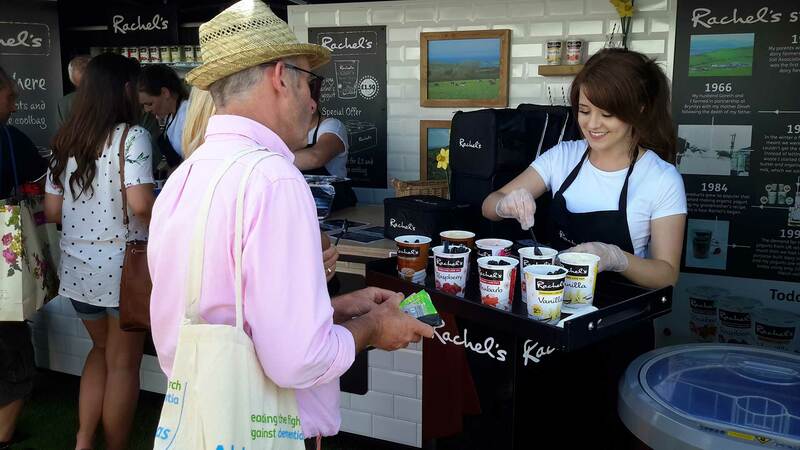 Having been working with Rachel’s on instore sampling campaigns for a number of months, the brand enlisted eventeem to manage their return to consumer shows, starting with the 2016 Royal Welsh Show. Since the brand had not participated in consumer shows for a number of years, our brief included the design and production of a new all-weather show stand, associated logistics, a sampling and sales programme, and of course show staffing. Working closely with Rachel’s brand manager we designed and produced a farm shop style county show stand from which our event manager and team of carefully matched brand ambassadors could sample variants and drive sales of an exclusive show offer. 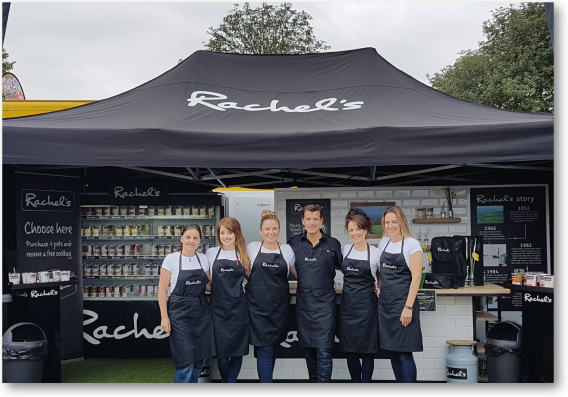 We ensured the stand was cost effective, whilst reflecting the premium quality of the Rachel’s brand, and providing a welcoming environment from which our brand ambassadors engaged with consumers, hosting Rachel herself at various times throughout the show which added authenticity. I have shared the report to the highest levels and everyone is very impressed with the activity. 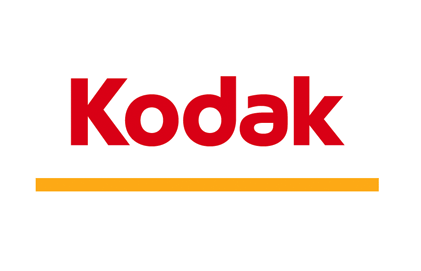 Your team should feel very proud.